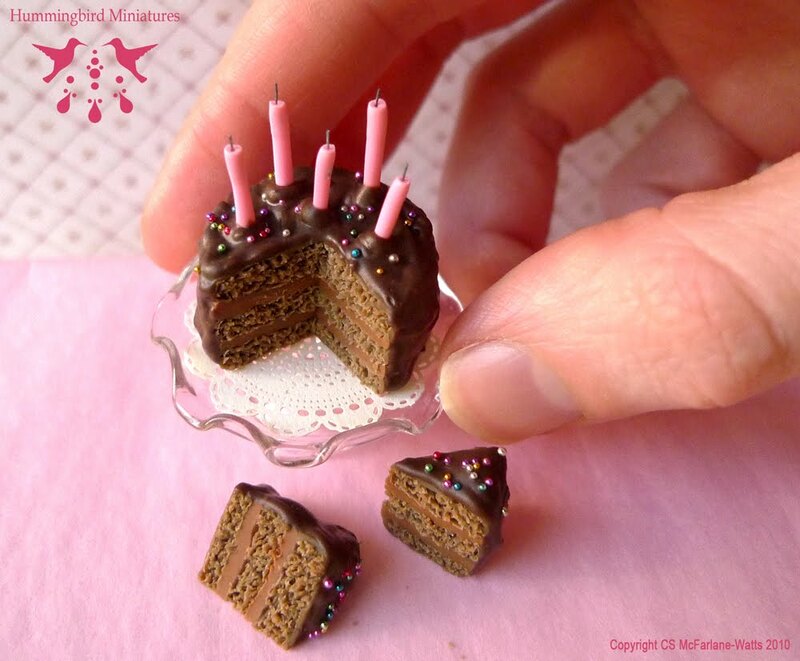 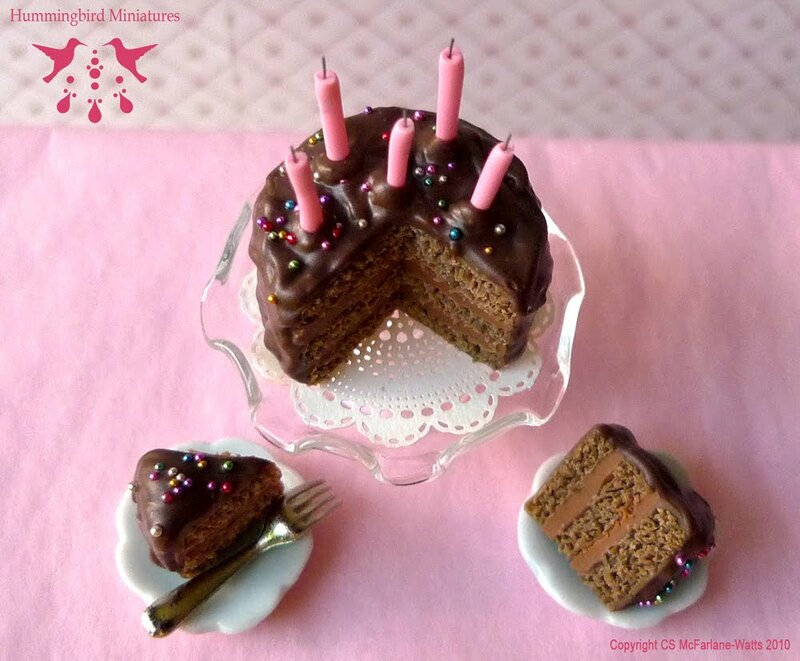 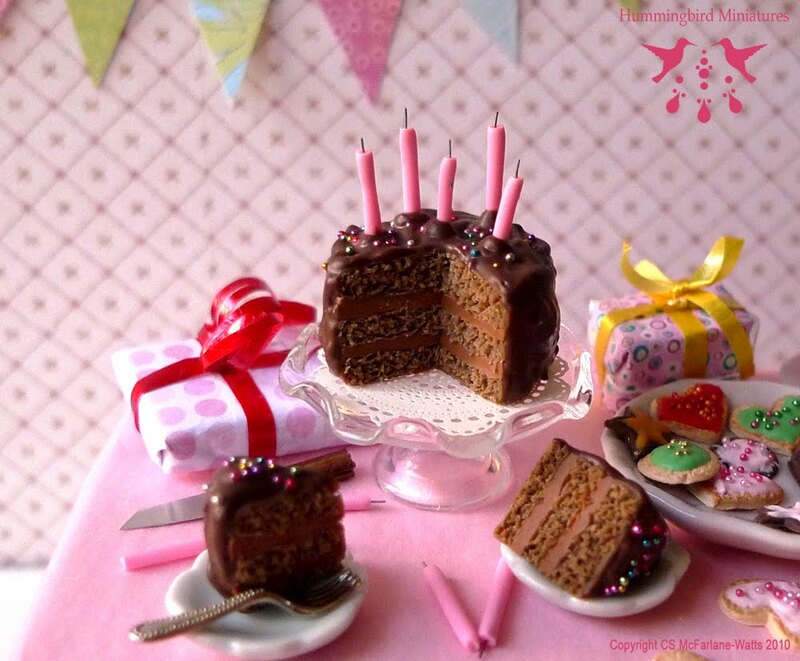 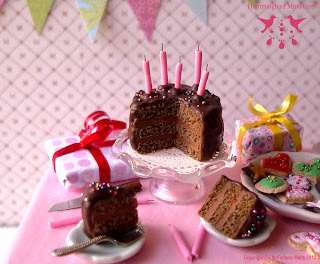 Hummingbird Miniatures: Chocolate Fudge Birthday cake! Chocolate cake looks delicious and like the real thing! 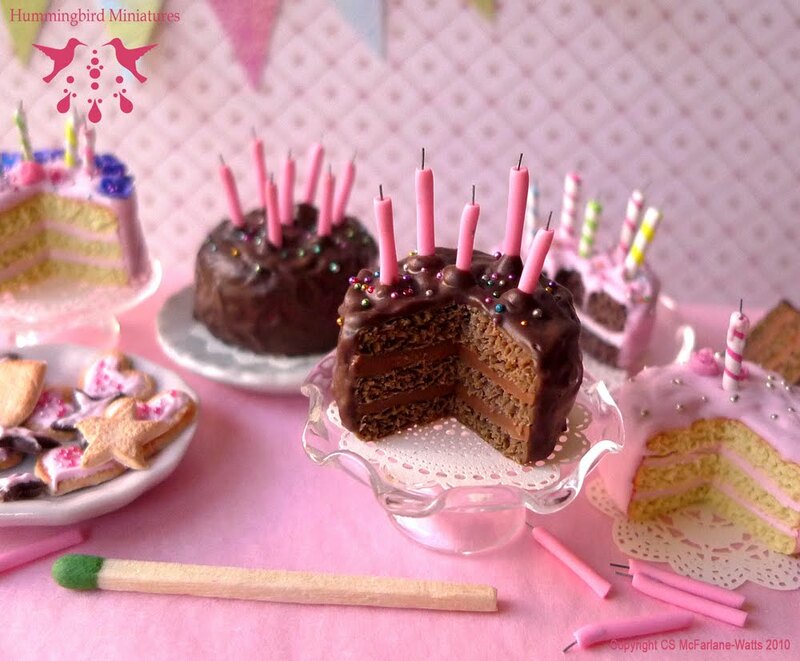 I think the candles are your trademark! lovely cakes! 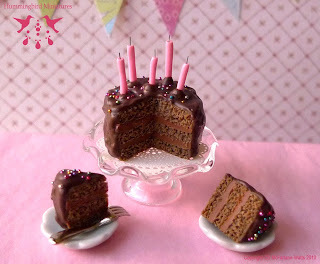 I adore chocolate cakes, great work, congratulations!